Two women competing for a man's heart Two queens fighting to the death for dominance The untold story of Mary Queen of Scots New York Times bestselling author Philippa Gregory presents a new and unique view of one of history's most intriguing, romantic, and maddening heroines. Biographers often neglect the captive years of Mary Queen of Scots, who trusted Queen Elizabeth's promise of sanctuary when she fled from rebels in Scotland and then found herself imprisoned as the "guest" of George Talbot, Earl of Shrewsbury and his indomitable wife, Bess of Hardwick. The newly married couple welcome the doomed queen into their home, certain that serving as her hosts and jailors will bring them an advantage in the cutthroat world of the Elizabethan court. To their horror, they find that the task will bankrupt them, and as their home becomes the epicenter of intrigue and rebellion against Elizabeth, their loyalty to each other and to their sovereign comes into question. If Mary succeeded in seducing the Earl, or if the great spy master William Cecil linked them to the growing conspiracy to free Mary from her illegal imprisonment, they will all face the headsman. 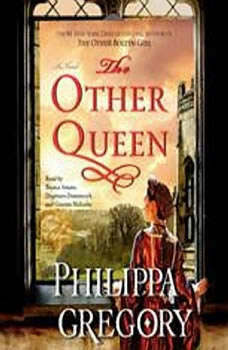 Heralded as "the queen of royal fiction" by USA Today, Philippa Gregory uses new research and her passion for historical accuracy to place a well-known heroine in a completely new story full of suspense, passion, and political intrigue. The Other Queen is the result of her determination to present a story worthy of this extraordinary heroine.